Dark nephrite jade mixes with olive wood and prehnite in this wrist mala that symbolizes Joy, Peace, Calm, and Healing. Twenty-three beads plus one larger "guru bead" in a pattern of lights and darks. Great to wear through the day to remind yourself to stay positive and calm. Jade is helpful with increasing your joyful, healing energy. Prehnite helps the mind stay in the moment, avoiding worry and "what ifs", and bringing calm to the user. 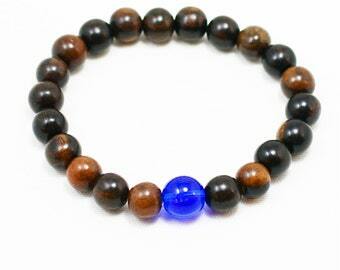 Olive wood is traditional in rosary beads and brings a nice devotional feeling to the mala. This would be a good companion mala for someone going through health challenges, whether mental or physical, to bring cheer. Measures 7" or almost 18 centimeters around, so it will fit a 6.5 to 7 inch wrist. I can enlarge it for a small charge, so please measure your wrist just to be sure. 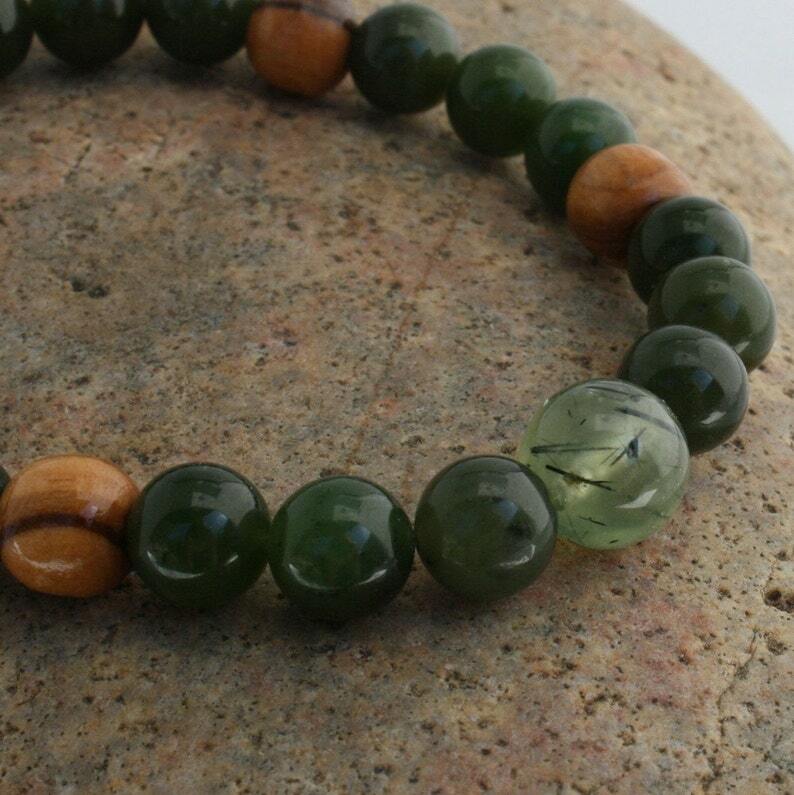 18 8 mm nephrite jade bead, 5 8mm olive wood beads, and one 10 mm prehnite bead strung on clear stretch cord. Comes in a small gift box tied with silver cord.